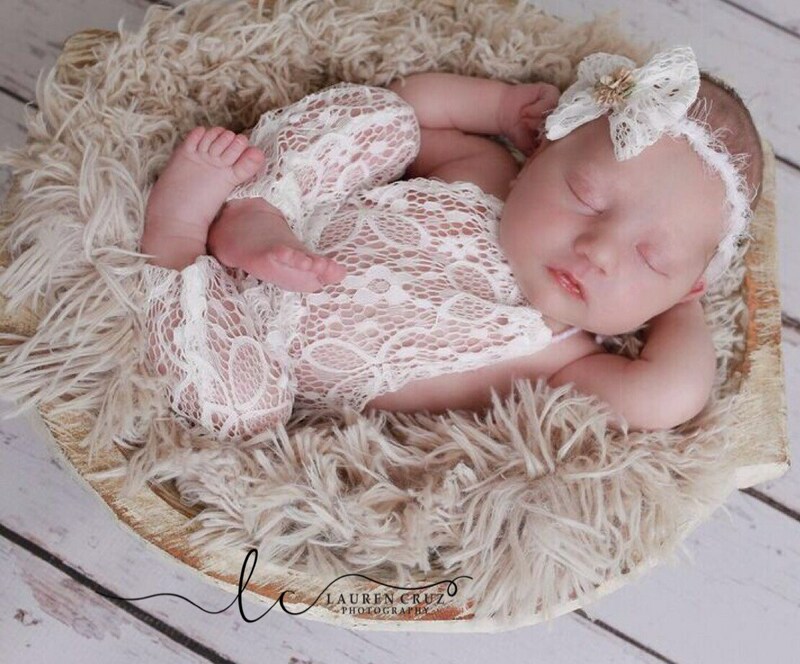 Newborn lace romper AND/OR lace bow tieback for photos, baby romper, bebe foto by Lil Miss Sweet Pea. Yarn tieback has a pretty lace bow of the same fabric with a taupe colored ribbon rose in the center. This is for photos only, not everyday use. We only carry newborn sizes. Due to the nature of our items, and the health of the babies, we do not accept returns unless the items is damaged and you are able to send us photos. We do inspect all our items before shipping so this should not be an issue. We are unable to resell items meant for newborn babies.